St. Patrick’s Day will soon be upon us and with it will be lessons about this upcoming holiday. 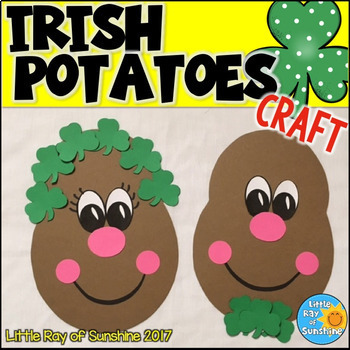 These cute Irish Potatoes will be the perfect addition to your room décor for this time of year! It contains everything you need to make this craft. 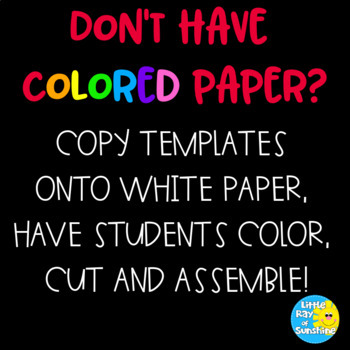 You can copy the pages onto colored paper or use them as templates to trace the shapes. You will need to have 6 shamrocks for the girl’s “hair” and 3 shamrocks for the boy’s “bowtie”. After assembly, students can add a mouth to both as well as eyelashes for the girl with crayons, markers or colored pencils.